JEANI: Let’s start at the beginning. For years, the rumor has circulated that you were born directly after your mother had gone to see the premier of Hitchcock’s film Psycho. Is that true or do you want to finally lay that story to rest? BENTLEY: It wasn't right after the premier, but my mother was pregnant with me when she saw the film. The first part of the movie (before Janet Leigh takes off with the stolen money) was filmed in Phoenix, so that was where one of the premiers was held. My parents went to see it, along with my grandmother, and none of them had any idea what Psycho was about. They were expecting it to be like North by Northwest, Hitchcock's previous movie, or perhaps a twisty tongue-in-cheek story like the ones on Alfred Hitchcock Presents, which was popular on TV at the time. Needless to say, they were....surprised. My mother, apparently, screamed very loudly at the "jump" scenes, so much so that forever after, whenever the movie Psycho was mentioned, my grandmother would get a very serious look on her face. "Your mother screamed so hard," she would tell me, "that I thought you'd be born retarded." Well, that didn't happen, but I did seem to be born with an affinity for horror. JEANI: You came up through the small presses, which is why you are kind to small presses such as The Horror Zine today. Do you feel that small presses can still help other writers’ careers? BENTLEY: Definitely. If your stories appear in the small press, they may not be seen by a lot of people, but they will be seen by the right people. Other authors and editors will read your work, and if it's good, the word will spread. You'll also start to amass writing credits, which look impressive when you're sending out query letters to publishers. The small press is a stepping stone, but it's a very important stepping stone. I wouldn't be where I am today without the small press, which is why I try to help out fledgling editors and publishers whenever I can. In the horror field, this is the farm league for the major leagues, and it needs to be supported. JEANI: Everyone knows you do not have a presence on the internet. Not everyone is sure why. Would you like to tell us? BENTLEY: It's very simple, really. Like most authors, I'm a raging egomaniac. I know that about myself. And I know that, if I had internet access, I would waste countless hours looking up things about myself, writing fake posts about how great I am and arguing with people who don't like my work. It saves me a lot of time and frustration to just stay out of the loop. (Lest you think I'm the only one who would stoop to such a level, there was a glitch on Amazon several years ago and, for a brief period of time, the real email addresses of reviewers were visible. It turned out that many authors were writing fake reviews praising their own work and panning the work of their rivals). I also don't like the fact that the internet seems to have changed the relationship of authors to their readers. I'm old-fashioned. I want to be judged on my work, not my personality. My life is not a reality show—I'm not going to be a dancing monkey and entertain people with my antics. My books are out there, and I hope people read them and enjoy them, but I'm not going to prostitute my privacy in order to expand my readership. Now that I'm getting all of this off my chest, I also have to admit that I don't understand the fascination of Facebook. Why people would want to amass a group of "friends" they don't even know, or contact individuals from their past with whom they've (presumably with good reason) not kept in touch, is a mystery to me. BENTLEY: No, I wasn't aware because as I said, I don't have access to the internet. But I'm grateful for any free publicity, and I'm always happy when someone enjoys my work. JEANI: Many successful writers treat writing as a job, putting in eight hours a day at their computers or word processors. Others only write when their muses insist. How do you write? BENTLEY: I'm in between those two extremes. I've never been one to wait for inspiration to strike. I'm a professional writer. It's my job, and I treat it as such. So, basically, I write Monday through Friday, taking weekends and holidays off. At the same time, as I've gotten older, real life seems to have taken up a lot more of my time than it once did. I find myself running errands, going to the store, responding to correspondence, working around the house and generally involved in non-writing activities far more than I would like. JEANI: Before you became a successful writer, you worked at a lot of odd jobs, including window washer and rodeo gate keeper. What was the worst job you ever held? BENTLEY: I pretty much hated them all. I suppose, if pinned down, I would have to say that the worst job was being an attendant at a video arcade called Missile Impossible. I was in college, it was a part-time job, and the hours were horrible—from eight pm to midnight, if I recall. My job was to sit in a booth, hand out tokens and occasionally reset the machines. I could feel my IQ dropping each time I walked into that hellhole. To this day, if I hear Foreigner's song "Waiting for a Girl Like You," I get Missile Impossible flashbacks, since that worthless piece of crap was played constantly on the Top 40 station that was blasted at concert-level volume throughout the arcade. JEANI: In January 2014, Cemetery Dance Publications announced a twelve book deal which made many of your most popular classics available again for readers as collectible signed Limited Edition hardcovers. How do you feel you have evolved from your earliest works? BENTLEY: I don't know that I have evolved. It would take a more objective eye than mine to spot any sort of evolution in my work. From my standpoint, my approach and style have remained fairly consistent, which is why I believe that if you read one of my novels and like it, you'll probably like them all. On the flip side, if you read one and don't like it, you'll probably hate them all. I could be wrong, but I think that any fluctuation in the quality of the novels is based more on the concept behind a particular book (some ideas are definitely better than others) than on my writing style. 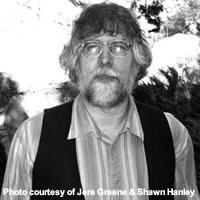 JEANI: The Influence is a brand new book, also released by Cemetery Dance. In it, “Something is not right in the desert of Magdalena, Arizona.” Do you want to tell us about your newest book? 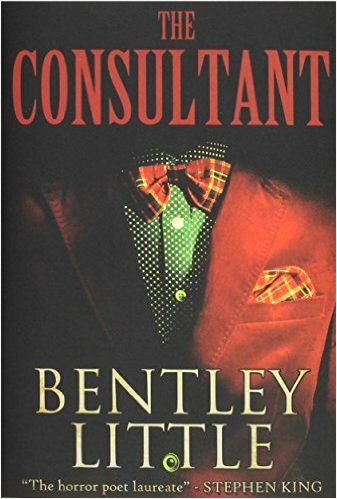 BENTLEY: Actually, the newest book is The Consultant, which was released in October. The Influence is straight horror, while The Consultant is more of a horrific social satire along the lines of my previous novels The Mailman, The Ignored, The Shore, The Association, et al. I like The Consultant. I think it's one of my better ones. JEANI: For a while, it seemed that there was a dip in horror sales world-wide, although horror seems to be making a sales comeback now. At that time of the dip, your publisher suggested that you write suspense instead of your first love, horror. That resulted in The Disappearance. Was the change to Cemetery Dance Publications your rebellion back to horror? BENTLEY: Sort of. I'd written His Father's Son and The Disappearance at the behest of Signet, my publisher. They were non-supernatural suspense novels: not tye type of fiction that I prefer. 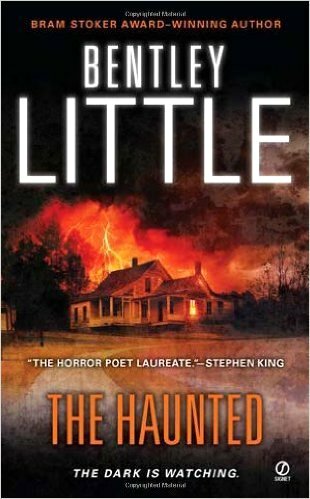 After that, in the interim between two editors, I wrote The Haunted, a haunted house story that definitely was my kind of book. I was informed by Signet that I could continue writing horror but that my novels would be released only as e-books. So I bolted for Cemetery Dance, which promised to put out my work as hardcovers and e-books. They've done an amazing job. I'm particularly impressed with the covers they've given me. The arwork is fantastic. So, yes, I'm a happy guy. A happy horror writer—which is all I've ever wanted to be. JEANI: My readers are also writers. Can you give them advice about where to get ideas for their plots and also about character development? BENTLEY: Stephen King once said that the most common and annoying question he's asked is, "Where do you get your ideas?" He's right. For me, ideas come from everywhere: things that happen to me, events in the news, places I go, sights I see. But I can't tell you where you should get your ideas. As far as I'm concerned, if you can't think up a story, you shouldn't be a writer. If, after everything you see and hear on a daily basis, you stare blankly at a page and have no idea what to write about, it's time to give up and find something else to do with your life. Similarly, the process of developing a character differs depending on each individual writer, and there's no one right way to go about it. Many authors base their characters on people they know. One writer I know combines traits from various fictional characters he's read about and splices them into new creations. For myself, I let the story dictate the characters. If my novel is set in a small town in Arizona, for example, I try to imagine what type of people would live in that town. What occupations would they have? What type of families would they have? All of those variables also influence the development of a character. A divorced newspaper editor would have a different lifestyle and outlook than one who was a newlywed or one who was happily married with two kids. I do think there's some validity to the adage "write what you know," because a familiarity with the story's milieu will definitely help with populating the fictional world you create. But as I said, the process is different for everyone, and as a writer you have to figure out what works for you. JEANI: Can you give my readers any pointers as to how they can polish and improve their work? BENTLEY: There are people who say that writing can't be taught, and I suppose that's true to a certain extent. For example, I'm not sure that anyone can be taught how to come up with a plot. At the same time, I believe that the mechanics of writing can be taught—although I'm definitely not the person to do it. That said, I would suggest that anyone wishing to polish his or her work should put it aside for a while after finishing, to get some distance from it, then try to reread it objecively. I've sent back a lot of unpublished manuscripts by writers looking for a blurb, and there are often simple, easily correctable mistakes in the text that should have been caught before the story was sent to me. Tense problems are a biggie. As is the mixing of the singular and the plural. Some time off for objectivity and a quick reread would probably have nipped these in the bud. If you read your work the way you would read a published story by your favorite author, you will probably be able to weed out the most egregious errors. And this is important because grammatical mistakes will make an editor stop reading, which will lead to rejection of your work. The most important thing aspiring writers should know is that their manuscripts should be presented professionally: no misspellings, no grammatical errors. As for structuring a novel, the possiblities are endless. Novels have been told in first person, second person and third person; as a series of letters, as a conversation, as a story within a story; from varying points of view; straightforwardly, with flashbacks, and with flash-forwards. Basically, the structure should depend on what would best suit the story and what the writer is most comfortable with. But the options are wide open. JEANI: What do publishers look for when they consider a novel? BENTLEY: They're following the latest trend. They're looking to jump on the bandwagon of whatever literary fad is hot at the moment. So my advice is to never take into consideration what publishers are looking for when you write a novel. Because by the time you start and finish it, the trend may be played out. Write what you want to write. Write what you love. If it's any good, there will be a publisher somewhere willing to take a chance on it. You'll have your artistic integrity and the beginning of a career. JEANI: Anything else you’d like to tell us to help solve the mysterious enigma that you are to so many? BENTLEY: If I'm an enigma, it's only because I don't have an online presence and don't attend horror conventions. But I live a normal life and am an active member of my community. My personal feeling is that if more writers spent their time writing instead of gossiping online, they'd be putting out better books. Horror legend Bentley Little is the author of numerous novels, short stories, articles and essays. He originally came up through small presses like us. Bentley has won a Bram Stoker Award for The Revelation and a nomination for The Summoning. 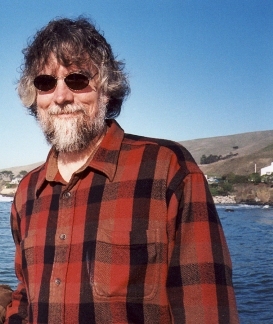 In January 2014, Cemetery Dance Publications proudly announced a twelve book deal with Bentley Little to make many of his most popular classics available again for readers as collectible signed Limited Edition hardcovers, affordable trade paperbacks, and eBooks. This new deal grew out of the success of The Influence by Bentley Little, an original novel we published in October 2013 that is now on its second printing, and these twelve books include The Revelation, The Mailman, and The Summoning, to be followed by University, Dominion, The Ignored, The Walking, The Association, The Collection, The Policy, Dispatch, and The Burning. Bentley Little is notorious for not participating in anything on the internet, which makes any website interview elusive. The Horror Zine communicates with Bentley though mail delivered by the U.S. Post Office.